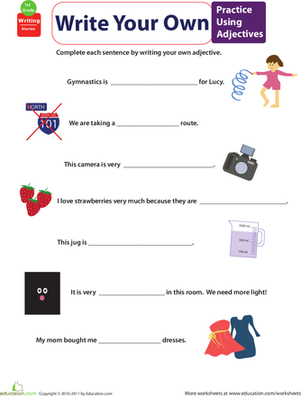 The subject is, arguably, the most important part of the sentence...and don't let your child forget it! 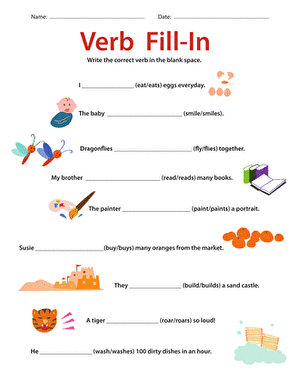 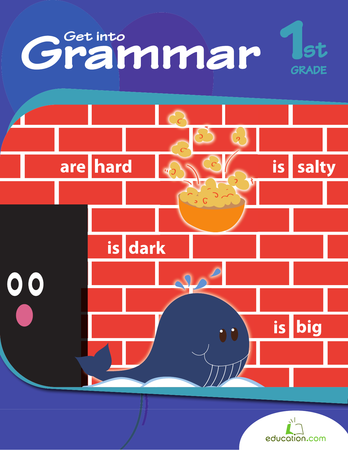 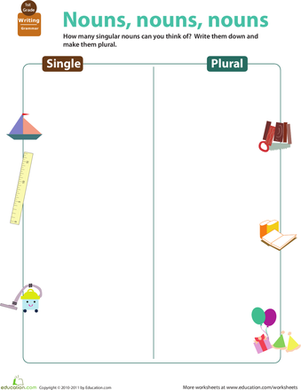 This year two grammar worksheet helps her get acquainted with picking the right subject—in singular or plural form. 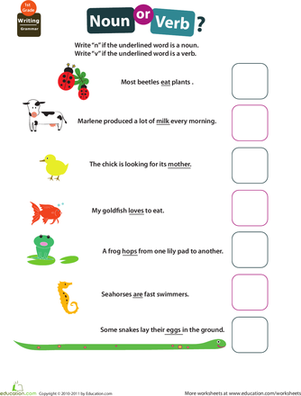 Deciding on which form of each noun sounds best is a great way to get her closer to writing sentences of her own! 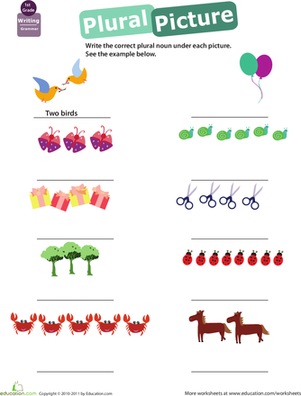 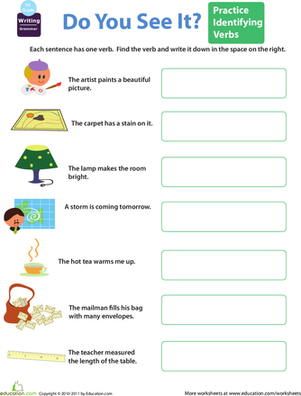 For more grammar help, make sure to check out the rest of the Get into Grammar printables. 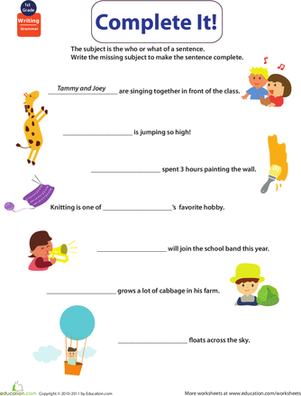 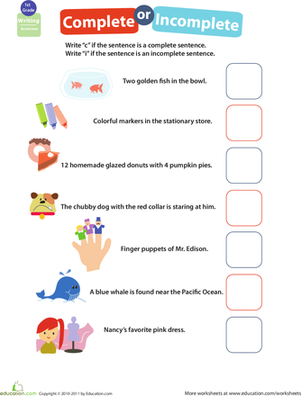 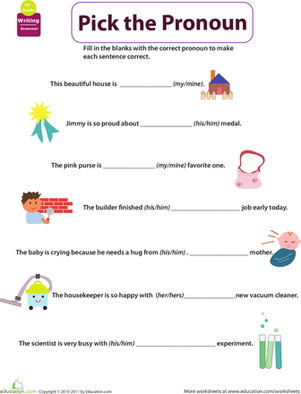 Invite your first grader to complete each sentence by determining a subject for each blank. 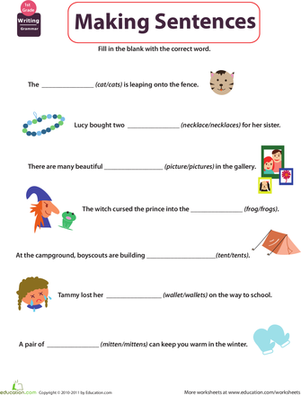 She'll use her imagination and the pictures for help!